A view from near Coull Farm, looking towards the Paps of Jura. The geese are a mixture, mainly Barnacle Geese, but also a few White-fronted Geese. Taken in October 2013. 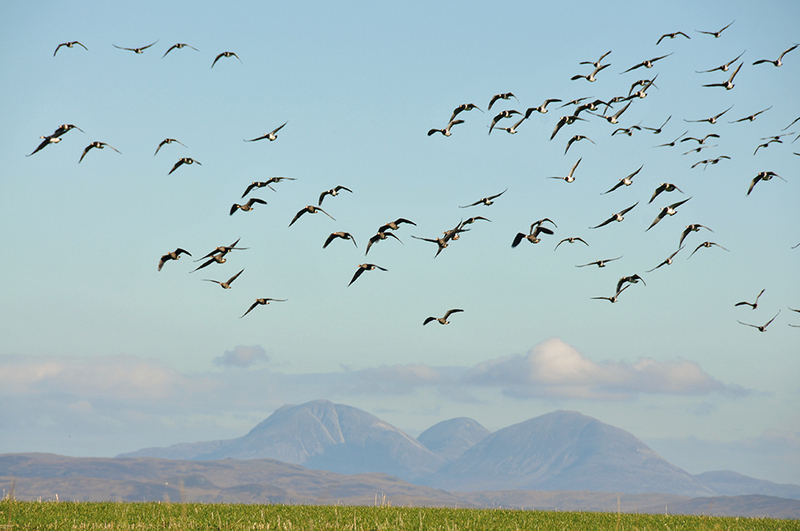 This entry was posted in Landscape, New Post, Sunny Weather, Wildlife and tagged Barnacle Geese, Coull, Greenland White-fronted Geese, Islay, Paps of Jura by Armin Grewe. Bookmark the permalink.